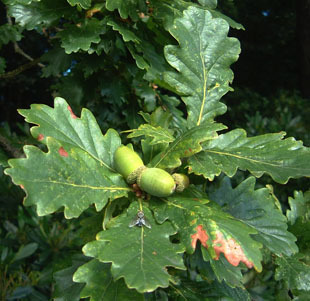 eastern England and East Anglia. 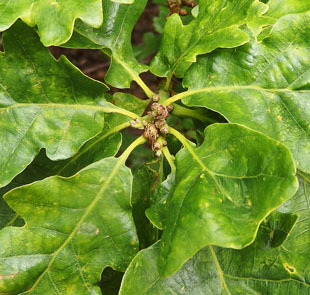 for drier, shallower and more acid soils than Pedunculate Oak. 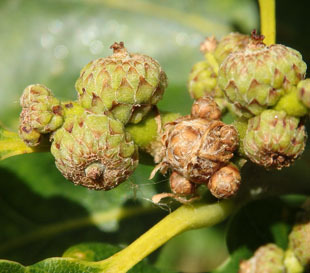 Male catkins appear at the same time as the leaves. 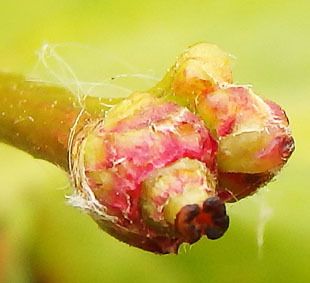 Female flowers form at the end of twigs in the axils of leaves. 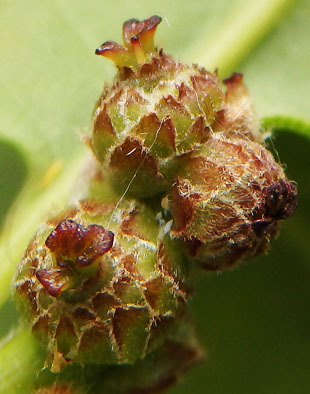 Female flowers are small with deep red 3-lobed stigmas. 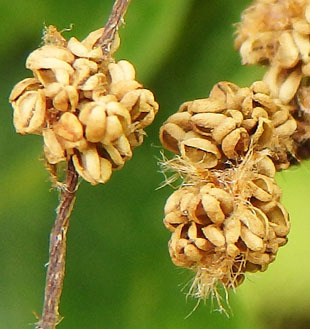 2cm – hence the name sessile. 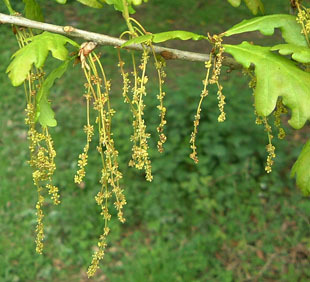 Female flowers of Pedunculate Oak have much longer stems. 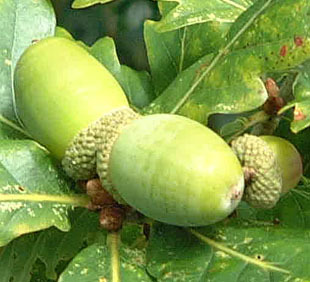 The acorns are clustered and sessile. 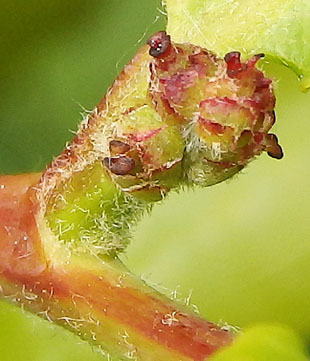 no petiole) and the lower part of the leaf tapers into the petiole. 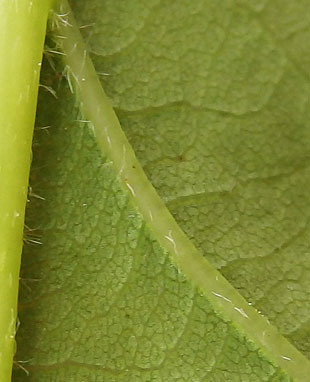 The underside of the leaf has white hairs on the veins. 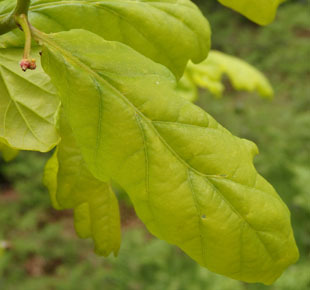 It has a straighter trunk and is less spreading than Pedunculate Oak. 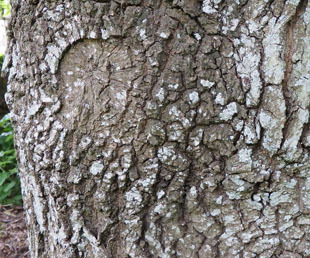 The trunk is fissured but less gnarled than in Pedunculate Oak. 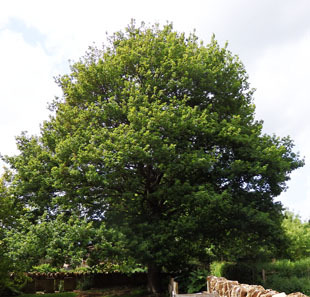 used to make barrels for the aging of French wines.